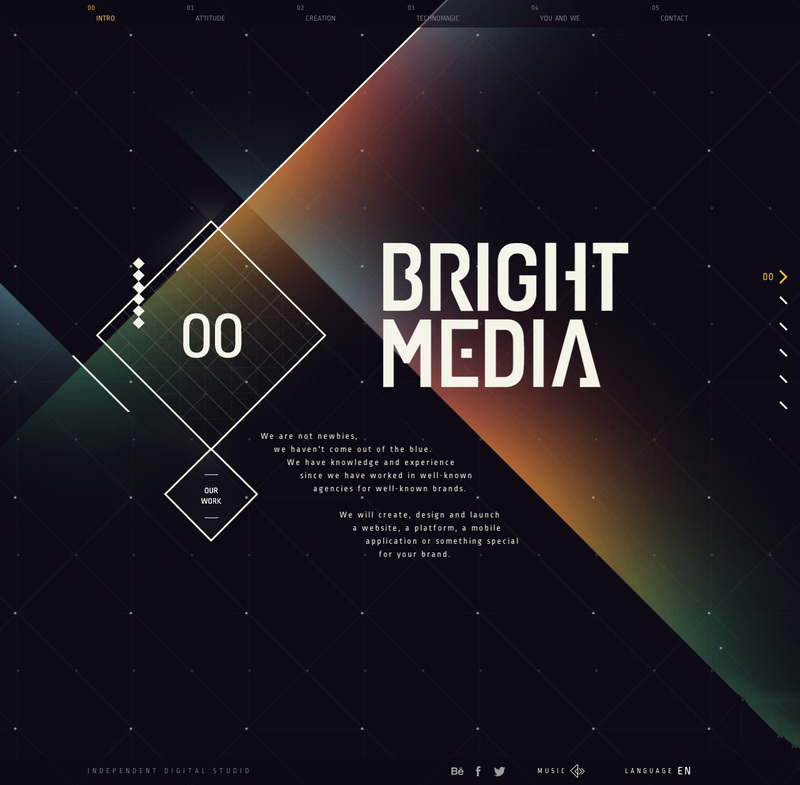 The most gorgeous load transitions in this stunning One Pager for independent digital studio, BrightMedia. We don’t normally list sites with background music but this subtle backing score just fits perfectly with the beautiful design. Lovely stuff. We are not newbies, we haven't come out of the blue. We have knowledge and experience since we have worked in well-known agencies for well-known brands.